Information technology or IT as it is very popularly known as these days have become a part and parcel of our lives. In our day to day activities even in daily household chores IT play a very crucial role. IT infrastructure is, as such, very significant in each and every department of every company these days. With majority of workforce making use of multiple gadgets such as tablets, phones, laptops, and desktops, a sound infrastructure is very much needed. Handling of several servers, infrastructure security, remote infrastructure management, etc. are some of the key elements of managed network services. With the progress and evolution of in the IT department in each and every organization, the demand for managed network services will also increase. Operational efficiency of every business is key to the growth of any company. This can be further achieved by streamlining the various processes that can assist in enhancing satisfaction of the customer and in turn further help in focusing more on the key revenue generating businesses. The organizations are making adoption of numerous business strategies so as to achieve these organizational goals. Managed services model has been one such way of achieving this. It has been a practice of outsourcing day to day management functions and responsibilities as a strategic method for the purpose of improvement of business operations and cutting down of expenses which are considered unnecessary. These services could, however, comprise elements such as production support activities, lifecycle build or maintenance activities, and outsourcing HR activities. Managed network services include automated network support solutions, such as managed wireless networks, managed gateways, and managed WAN and LAN, which are completely maintained and monitored by the service provider. They allow an organization to manage and operate an IP-based communication network by sourcing the required technical support services, software, and infrastructure. However, hardware infrastructure resources could also be provided along with firewall protection to secure the backend data and infrastructure. Managed network services help a company to focus on core business while leveraging sophisticated network technologies and raise its cost and product efficiencies. The demand in the world managed network services market could be spurred due to the hot requirement for user identity authentication, powerful transaction security, and more solutions associated with managed network services. Since companies customize their services based on the needs of end users, there could be a rising trend of conventional network infrastructures being replaced by those featuring enhanced accessibility. In this regard, network security is also expected to be improved with elevated efficiency at the slightest of costs. Consequently, a larger market share is anticipated to be secured by managed Internet access and network infrastructure provisioning. Key characteristics of the product such as making a network more reliable and flexible and curbing the coast-to-coast cost of operation are predicted to set the tone for the global managed network services market. End users of managed network services are facilitated with commanding backup-enabled data storage, network security, network monitoring, and network infrastructure. 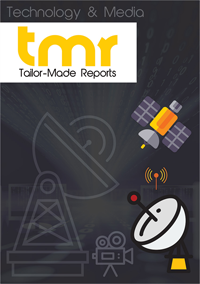 Telecom and IT are envisaged to emerge as the dominating end users of the world market. IBM is proud to announce the launch of its new cognitive assistant that works to take up the challenge of efficiently managing a sprawl of devices, including IoT devices, laptops, tablets, smartphones, across different businesses. The IBM MaaS360 Advisor taps into the vital capabilities of IBM Watson to not only manage devices but also their networks. It is able to recommend the best customized practices, patches, and policies and analyze devices on a network to better manage and protect them. Importantly, it is now included in the unified endpoint management (UEM) platform of IBM MaaS360 delivered via the IBM Cloud. By the concluding year of the forecast period, North America is envisioned to hold a king’s share in the international managed network services market. Not lagging behind by a bigger margin, Asia Pacific could be a faster growing regional market on the back of an impressive number of budding service companies in the IT and networking field. One of the critical factors propelling the growth in Asia Pacific could be the heated competition between multiple players and their presence to provide the best of cloud-based and managed services. Other regions forecasted to hold some prominence in the market are Europe and Rest of the World. The only deterrent that could hamper the growth of the international managed network services market is the failure in following recommended practices and maintaining compliance to ensure enhanced network security. However, players in the market are projected to count their advancement on collaborations, new product developments, contracts, and product enhancements for rising above the odds. Ericsson, Cisco Systems, Inc., AT&T Inc., Alcatel-Lucent Enterprise, Accenture, and Hewlett Packard Enterprise Development LP are some of the toughest players operating in the industry.